Cheddar crackers are some of my favorite things in the world. I make them year round, eat the for breakfast (yep totally), lunch, snack, or dinner. There are several things though, that I require of my cheddar crackers. First, nuts of some kind, then heat, typically cayenne because the heat comes a little late so you get to taste the cheese/nuts first. After that, I have things I enjoy, such as some herbal components, particularly rosemary, sometimes a little dried fruit – it makes sense on a cheese board it should make sense in a cracker. Sift together salt, cayenne, and all-purpose flour over a sheet of waxed paper. Preheat oven to 350 degrees. Beat together butter and cheddar in the bowl of a stand mixer until smooth, then add in the dry ingredients. Add in the pecans. Roll into rounded teaspoons of dough and arrange on a parchment lined baking sheet inches apart. 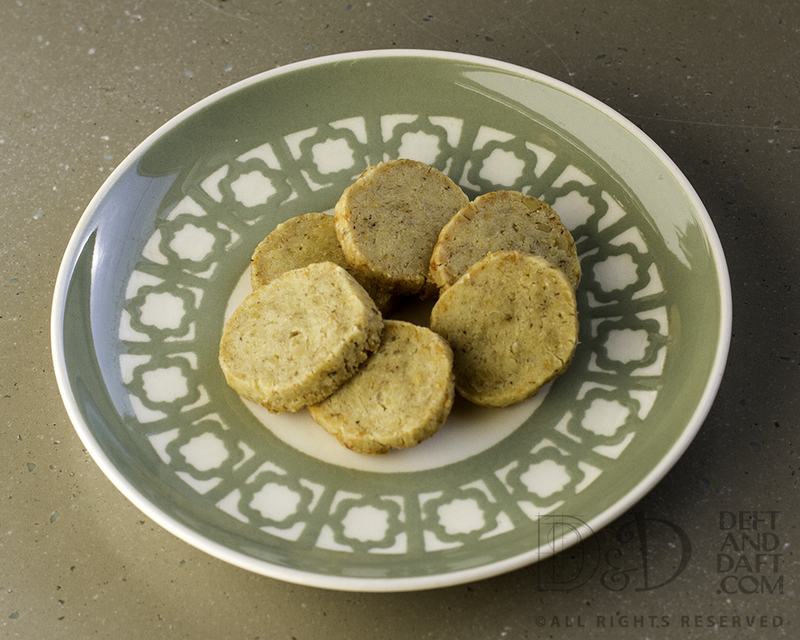 Flatten into 1 1/2″ disk with the bottom of a glass or the back of a spoon and bake until golden, 15 – 18 minutes. Yield: 50 crackers sort of…. well, not really. No idea where this recipe came from, and it is pretty much altered from the original recipe. I think you can substitute walnuts for pecans in this recipe. This isn’t always the case, but in this instance, it would work. Pecans are a little sweeter and they are local and so fresh, so that’s what I go with. I don’t typically substitute red pepper flakes for cayenne. But I might try Aleppo pepper next time. 14 Nov 2015 – cheese crackers for me and there it is. I think I may be the only person that makes their own crackers. I’ve been doing this for years and have learned so much from the process. 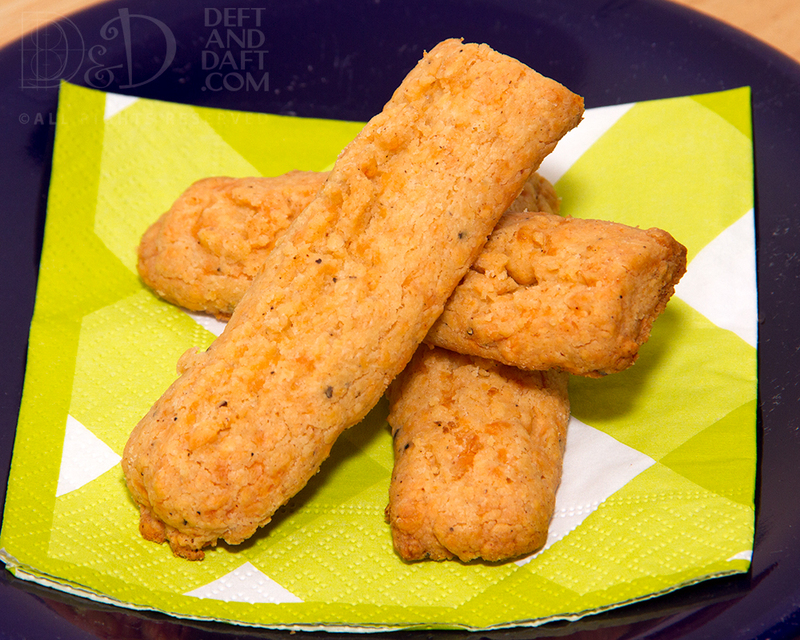 This recipe – if you can call it that – is based on my favorite cheddar cracker recipe and on the cheese cracker challenge of 2012, which was, I have to say, epic. Again, excellent use of commas. Can not help my self. 6 ozs all-purpose flour – yes, weigh it. 3 ozs Gruyere, grated – do I need to say it again? In the bowl of the food processor, chop the walnuts. Remove them and add the flour, Gruyere, salt, and cayenne. Pulse to incorporate. Add butter and pulse until dough is pea sized pieces. Add nuts and pulse until the dough comes together. Pile crumbs on an unfloured surface and knead a few times to pull the dough together. Roll the dough into two logs about 1 inch in diameter. Wrap in plastic wrap and refrigerate for 4 hours or up to three days. Heat oven to 350 degrees. Line baking sheet with parchment. Slice the logs into about 1/4 inch slices. The most important thing is the slices are similar in size. Space the about an inch apart. Bake 12 – 15 minutes, rotating baking sheet half way through. Place on a rack to cool, and the store in an airtight chamber. I’ve modified one of my favorite cheddar cracker recipe to use a very nice piece of Gruyere I had. I’ve made some modifications to the methodology and to some of the flavorings. I have had this recipe printed and in my cracker binder – yes, I have a cracker binder, and have had one for donkey’s years. No comments about that because I am just that girl. I Just have never made this until now. 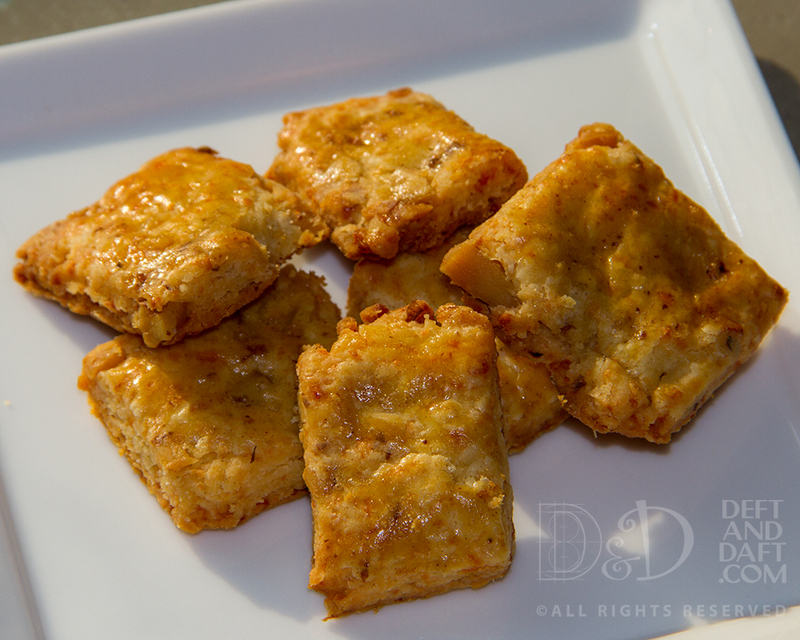 It uses way more butter than normal for cheese crackers, but comes together easily. And I let the dough sit in the fridge for a couple of days before baking. That is one thing I like about cracker recipes. Make them and then bake a few days latter … no biggie. Dump the dough on an unfloured surface. If you’re using nuts, sprinkle them on the pile of dough. Knead by lightly smearing the ingredients together as you push them away from you with the heel of your hand until the dough is cohesive. Shape the dough into a flat disk, wrap in plastic, and chill for an hour or two to let the butter firm. Brush with the glaze and sprinkle lightly with kosher or sea salt. Bake until golden brown and thoroughly cooked inside, about 14 minutes, rotating the sheets from front to back and top to bottom about halfway through. To test, break one in half and look to see if the center still looks doughy. If so, cook for a few more minutes, but be careful not to over bake. Let cool on a rack and store only when completely cool. Notes: These were only slightly amazing. So light, so crispy. I cannot think of anything I would do different. Except make them again and again. I really cannot imagine it took me so long to make them. I have yet to get into my cheese cracker fixation for this year, but I will. I liked these, sort of. I would have liked them thinner. I will do a better job next time, but they do taste good. And my friends liked them a lot. They just look pudgy. Maybe I’m being too picky. Yes, likely. But they do taste good. Cheese Straws that are kind of fat, but they tasted really good. Preheat oven to 425 degrees. In food processor, mix flour, butter, mustard, salt, black pepper, cayenne. Add butter and cheese, pulse until dough forms. Transfer dough to a lightly floured work surface, divide into 4 equal pieces. Roll each piece into a rope about 3/8 inch in diameter and 18 inches long; cut each rope into 6 three inch pieces. Place pieces 1 inch apart on a baking sheet. Drag the tines of a fork down each straw to create ridges. Bake until golden and firm to the touch, 15 to 20 minutes. Transfer to wire rack to cool. Store in an airtight container for up to 2 days. Source: oops. Don’t know. That’s a bad habit of mine.